Do I Really Need to Create a Blog Media Kit? Let’s define a media kit first… A media kit is a set of pages containing a blog summary, statistics, and demographic information about your audience. It also contains work and collaborations and structured service offerings for potential partners. We all know bloggers who send out media kits to help them grow income and opportunity. Conversely, we know many content creators who have never created a media kit and are succeeding. In this two-part series, we’ll look at the benefits of having one, whether to create or purchase a kit, and even how to leverage a media kit for your blog. you will structure your offerings and general pricing schedule. you give thought to your audience (metrics and surveys) that will help you position relevant content. If you’re ever asked for a media kit by a brand, you can deliver a response quickly. 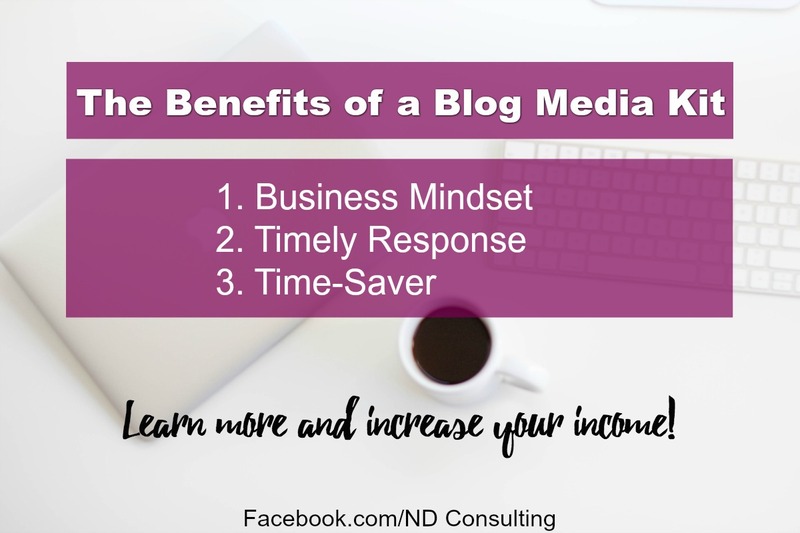 Sometimes, the bloggers who respond the fastest are the ones who are able to capitalize on the opportunity! There are many times when small- to mid-sized brands will contact bloggers requesting posts for their product. If they didn’t indicate the pay rate for the partnership in their pitch email to you, you can respond with your media kit to educate and fish for a budget. 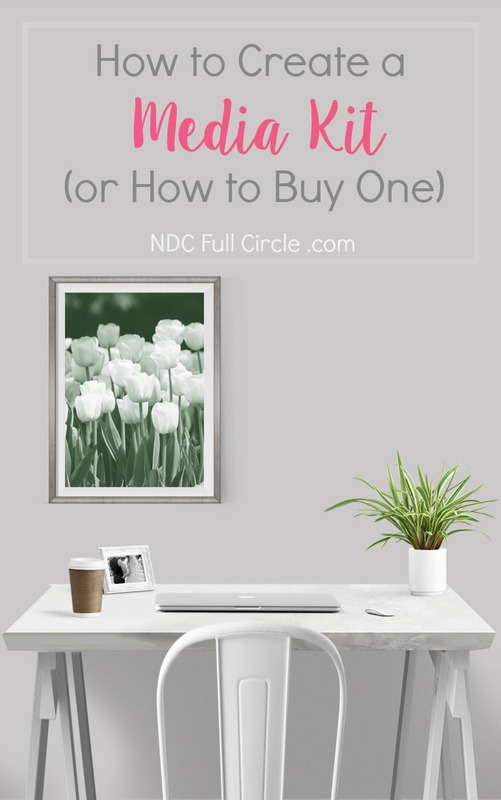 Get more tips on how to maximize your blog income – sign up for the once-weekly newsletter from NDC and gain access to the popular Resource Library. Should I Buy or Create a Media Kit? Bloggers have stiff competition these days. A clean, concise, and bold professional resume will help any blogger stand out, no matter their page views or history working with brands. My recommendation is to purchase a media kit design. Easily and Quickly Updated: Template creators make it easy. They know time is money in blogging, especially if you don’t have a team. Focus on Growth: There are so many things in blogging you could be doing to focus on growth. Warring with margins, columns, and text boxes aren’t going to help you grow! Design Expertise: Are you a designer? I am not, which is why I believe a few dollars spent on a template made by someone who IS trained in design is well worth the small fee. If you want to be sure you’re getting an easily-updated, vibrantly-designed version for PC or Mac, check out HIP media kits (awesome affiliate). Many of my clients love these designs because they can customize them and update them quickly. They can also easily create multiple media kits for their sites in order to help them win more sponsored posts! If you want to spend the time to create a blog media kit yourself, there are a few general guidelines. Consider the design and make sure it doesn’t overpower the message. It is beneficial to include the following sections when you create your own media kit. Include a blurb explaining what makes you and your audience unique. 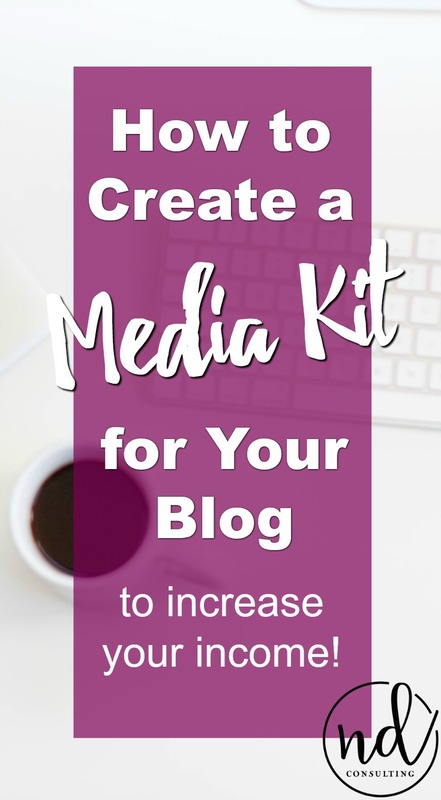 Additional resources on how to create a blog media kit yourself can be found at The Blog Maven, Melyssa Griffin, and Being Reese. 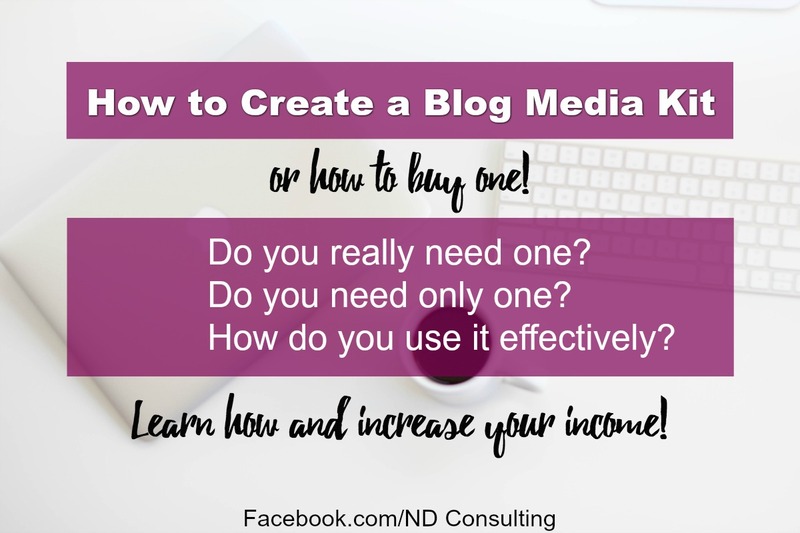 You can create a blog media kit or purchase one from a tried-and-true firm, but the key is to have one! Spending the time developing one now will put you into a business blogging mindset, and will have you pitching with confidence. Stay tuned for our next article on how to use your blog media kit. Oh wow! This is amazing. I know I need a blog media kit. I need to add that to the to-do list. I think the reason why I procrastinate on this task is I’m a little ashamed of my numbers (pageviews, followers, etc.). However, I know it’s important to have one. Thanks for sharing this. I pinned it to my blogging board.